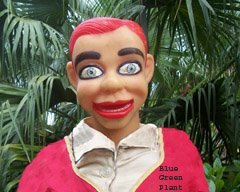 Because of budgeg cuts due to the economic situation, and because the Blue Green POwer plant has vowed never to charge its readers for blog content, staff has been reduced to two reporters, Bill Dafferty and Bill Duckton, and they will have to share the same office. We are sorry to say that Angela Ramos and Tabby Lane have been let go. The decision had nothing to do with the fact that they were female, the ones who were let go. Also let go was a male poofreader, so no sexism nor favoritism was involved. It was suggested that maybe they could sell Mary Kay until the economy upturned. I bet you can get someone to do the proofreading (not poofreading) for free. There are plenty of folks here at the retirement village who are bored as hell and would love to help you to get out the news. Can they sing? I will give them both a job if they can sing. Who can say where the ax will next fall? Angela and Tabby can come work for me. Where can I contact them? My new service would be honored to have them on board. Mary Kay cosmetics tests their products on animals. I sell Mary Kay and we DON'T test our products on animals. We only test them on the skin of animals and sensing organs. Plus we NEVER test on anyone's pet. I think they should go to a faith-based charity. We Americans always give generously to the unemployed.